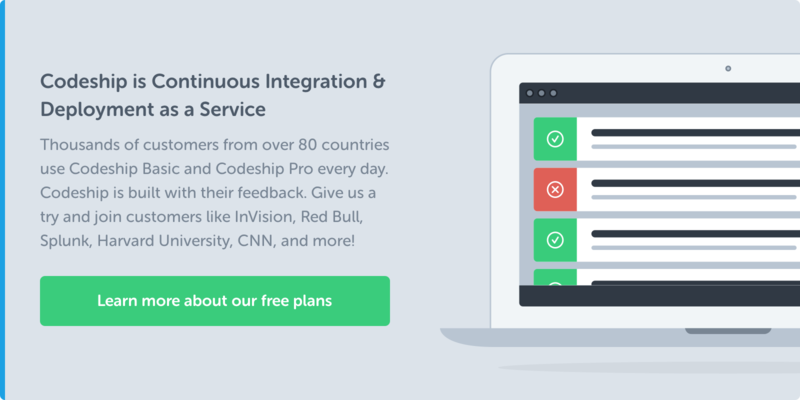 Today we announce two new features to help you implement Codeship in your workflow. We will show how to use Hipchat for notifications and skipping Continuous Integration on specific builds. When setting these config parameters a Test message will be posted to Hipchat to make sure everything worked. From now on every time a build is started and finished on Codeship a message will be posted to Hipchat. We will expand from Hipchat to other Chat providers like Flowdock or Campfire. To skip a push simply add --skip-ci to the commit message of the last commit before you push. With Hipchat Notifications and skip you can now use Codeship more than ever before in your day to day workflow and configure it to fit the way you and your team works and deploys. 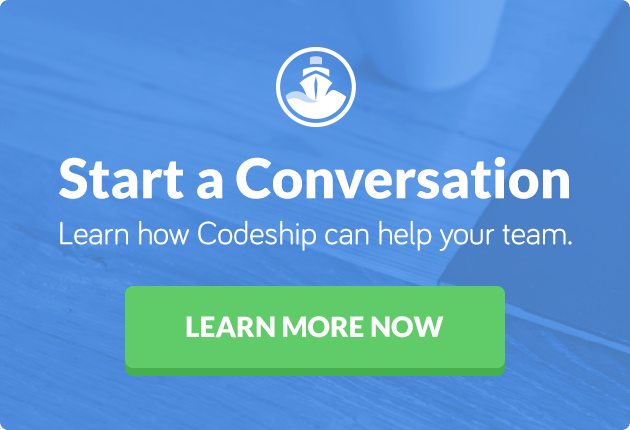 If there are any other features you would like to see in Codeship tell us via Twitter or by email.